I have to say I have been downing this green smoothie like there was some sort of world shortage! 100% natural – not weird powders or shakes – just good honest food. I think that is why my Green Smoothie Challenge is so popular as honestly adding one green smoothie to your day is an easy win. I know we are all busy people trying hard to get healthy and we don’t all have time to tend to our organic allotment and do yoga for 2 hours a day! Plus this is a super high protein smoothie which is a winner. Getting more protein in the morning can be really helpful for healing the adrenals and stabilising the blood sugar. I often find the more protein I have in the morning the more energy I have in the afternoon. I also go to the gym at the moment 4-5 times a week first thing so this makes for the perfect post workout breakfast to help repair my tired muscles (squats = tired body!) and I notice I feel better and well recovered after drinking this. So there is a minimum of 26g of naturally occurring protein. No crazy things added just natural healing goodness. Plus this is fruit free – so perfect if you are trying to avoid sugar and fructose for health reasons or just don’t stomach fruit well – I know I didn’t when my digestion and health was so poor I could tolerate much fruit at all! Plus did I mention it’s like having a chocolate milkshake for breakfast??? and if you REALLY want to kick-start your green smoothie habit, get tons of recipe, double your energy and flatten your belly in just 10 days then make sure you start my Green Smoothie Challenge TODAY! 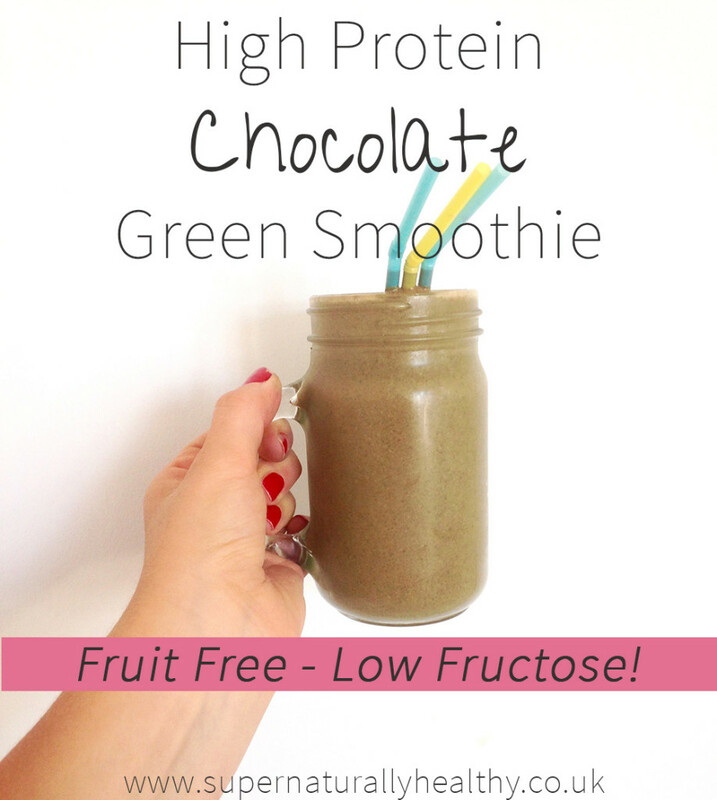 The natural solution to your high protein, sugar free smoothie! Place all ingredients in a blender and blender until completley smooth. Drink immediately. Option of using 350ml water and 100ml whole milk to increase protein in take. This serves as one person breakfast/meal or 2 people as a snack. And if you really want to find you green smoothie groove then why not join the countless of other people who have done the Green Smoothie Challenge? Click here to join today! 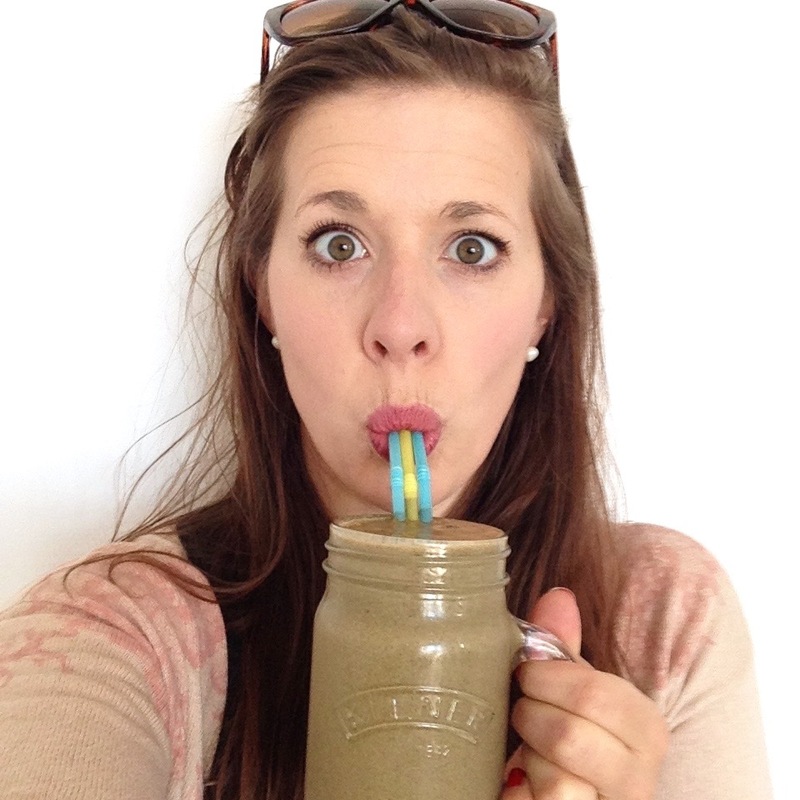 Have you tried fruit free smoothies? What’s you favourite smoothie combo?